alentine’s Day isn’t until Thursday, but look what I just received. My heart skipped a beat. 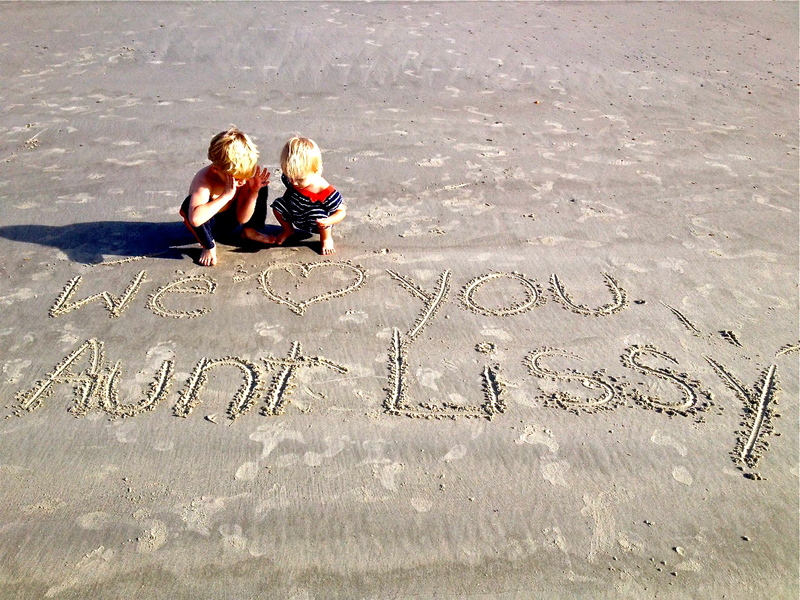 These cutie–pies are my nephew and niece enjoying a day at the beach. What a delightful idea for a Valentine’s card … and no calories. I’m still smiling here in the snow. What a thoughtful little deed. CUTEST thing I have ever seen. LOVE those little blonde beachgoers! It is the cutest thing ever–love them too! You are the best-and the reason I started this blog! They are just so cute. Penmanship will come later. Be still my heart! That is so sweet! What a way to wake up – absolutely adorable! !